Gabor Wigs are some of the best synthetic wigs available. Known for their classic cuts and elegant colors, these hand knotted wigs are super light-weight and wonderfully comfortable. They typically come in shorter styles, ranging from chic pixies to flowing collar lengths, but a few wigs in this collection do also extend beyond the shoulders. No matter what style you choose, you can feel confident and stylish with these classic cuts. Lori’s Wigsite is the premier store to buy inexpensive wigs online. 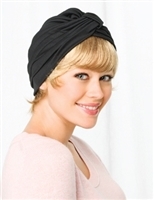 We offer a wide array of wigs for women in different styles, cuts and collections such as Gabor. We also have free shipping on all US orders over $99.